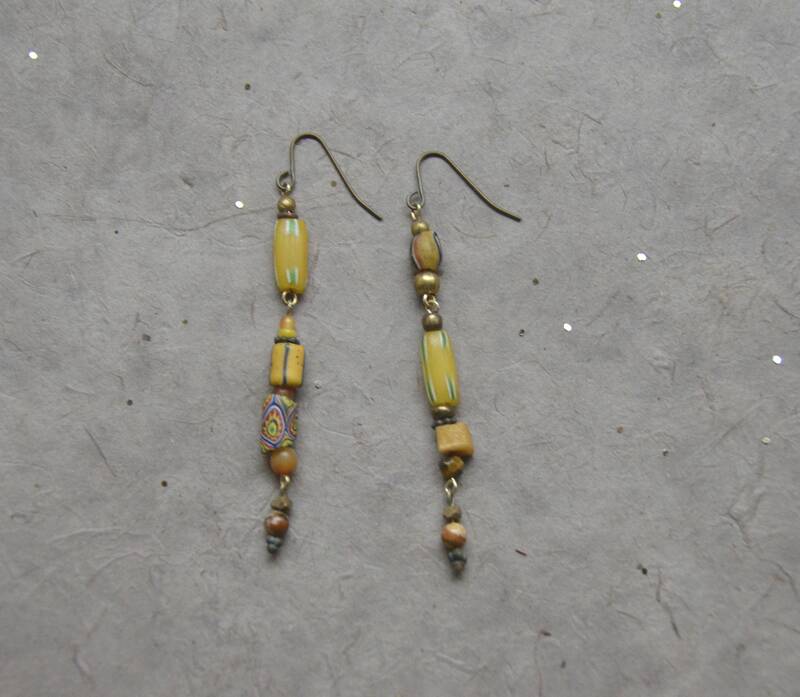 This item has sold but upon request we can create a similar pair of Trade Routes earrings, Chakra 3. 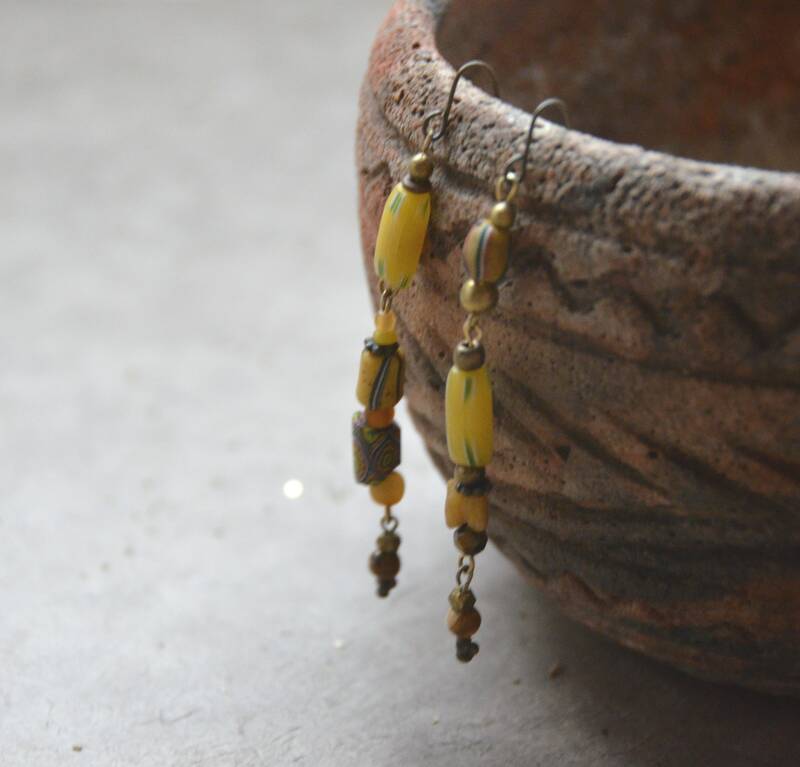 These are created by Kristen Wilson using old trade beads, horn and jasper, metallic glass and brass beads from India. 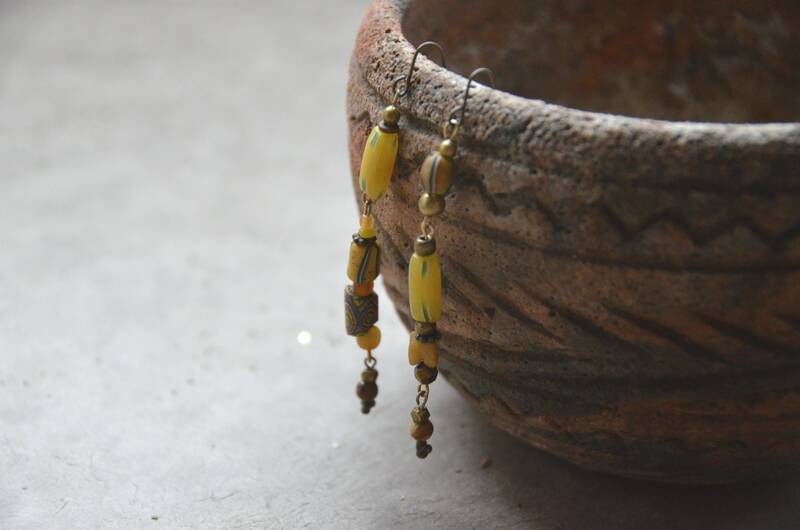 They measure 3 1/4" from the top of the ear wire which are French style brushed brass. 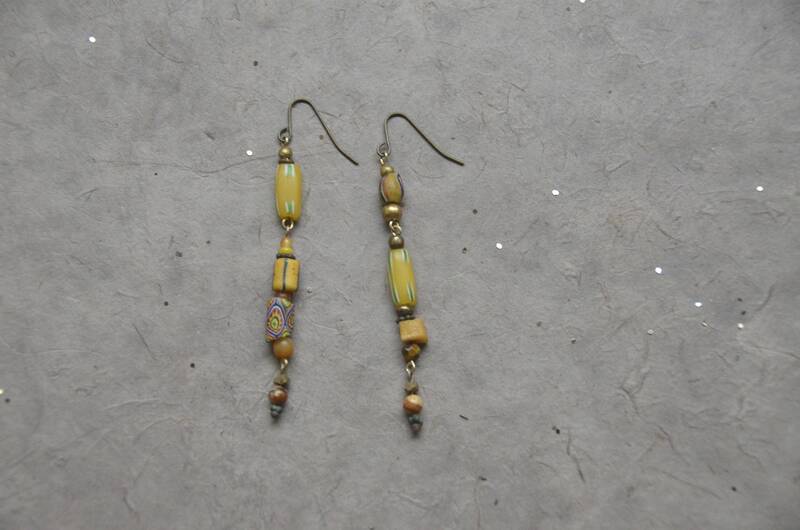 These have a delicate look and represent the fantasy of travel in our minds. -The Solar Plexus Chakra is located in the abdomen above the belly button. It is associated with personal power, life business and financial stability. When well balanced we experience economic independence and organizational leanings. Yellow is the color of the 3rd Chakra that enables this balance. The Solar Plexus Chakra collection was designed with rich golden yellow elements to enhance these concepts.